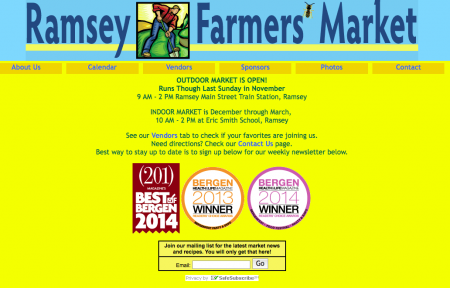 The Ramsey Farmers’ Market is a fundraiser sponsored by the Ramsey Historical Association (RHA), and extends the RHA’s mission by stimulating interest in and appreciation for Ramsey’s agricultural past while providing an opportunity to obtain high quality, locally grown produce. 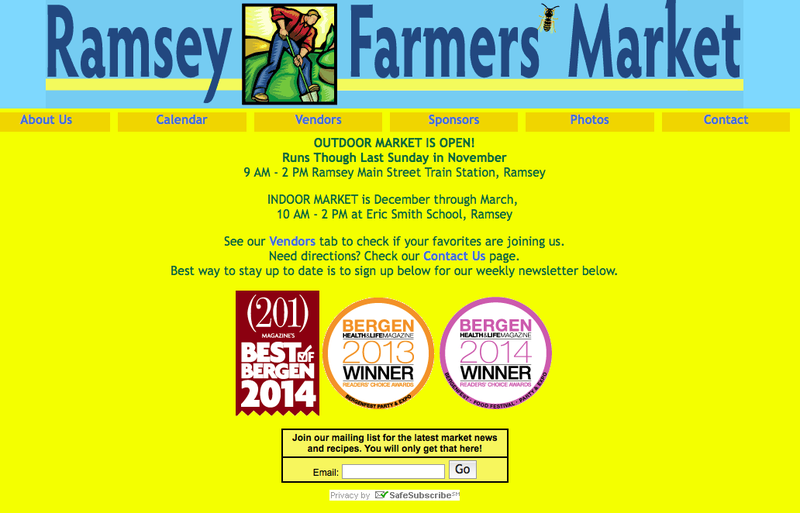 The market has over 40 vendors, and was recognized in 2013 and 2014 by Bergen Health and Life Magazine as the best farmer’s market in Bergen County. The market is managed by RHA member, and former RHA president, Nancy Boone. To learn more please visit http://www.ramseyfarmersmarket.org.